File Photo of people waiting to check their names in the first draft of NRC. Around 9,000 residents of Assam, reportedly excluded from the complete draft of the National Register of Citizens (NRC), have applied to the West Bengal Board of Secondary Education (WBBSE) for issuing duplicate admit cards of higher secondary examinations held before 1973 to them, a senior board official said on Wednesday. A report published in DNA stated that WBBSE president Kalyanmoy Ganguly said the board had issued and despatched admit cards to 6,000 applicants, who actually hailed from Tripura and later migrated to Assam. They had passed the higher secondary examination under the West Bengal Board before 1973. The report further quoted Ganguly as saying, “We are in the process of screening the remaining applications on a war footing.” The applicants were residing in Tripura before 1973. Since there was no Secondary School Education Board in the north-eastern State at that time, the schools there were affiliated to the WBBSE, Ganguly said. The admit card of the board examination is considered an important document as the date of birth of the candidate is mentioned in it. 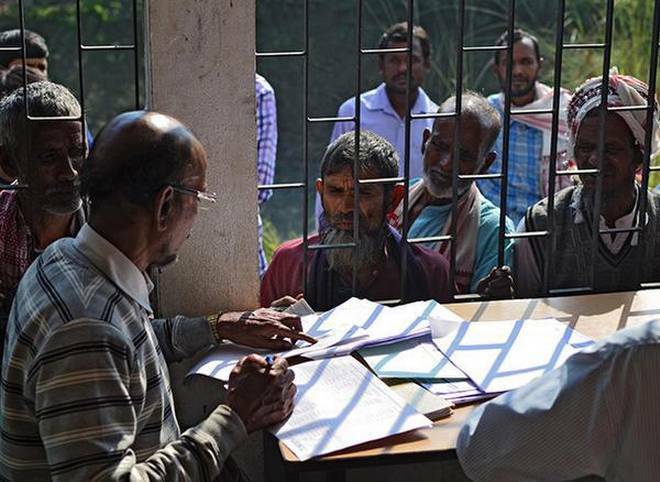 Refusing to comment on whether the applications for issuance of duplicate admit cards were linked to the exclusion of the names of lakhs of Bengalis from the complete draft of the NRC in Assam, Ganguly said, “Those who have applied for the duplicate admit cards may have lost the original documents.” The applications for the duplicate admit cards were forwarded to the WBBSE by the State Education Department since July, he said. The publication of the complete draft of the NRC in Assam on July 30 last had triggered a controversy after over 40 lakh names were found to have been excluded from it.